2012 will not go down in the books as our best year, but somehow I feel more grateful than ever for everything we have. It could be the recency of Sandy and how fortunate my family is to have not been impacted at all. It could be that working from home gives me more time to enjoy everyone and everything we have. It could be that I saw Megyn Kelly ask Carl Rove about if it was just math he does to make republicans feel better on election night. However, while I'm feeling particularly grateful this year, I'm not sure I can say the same thing about the Freen. 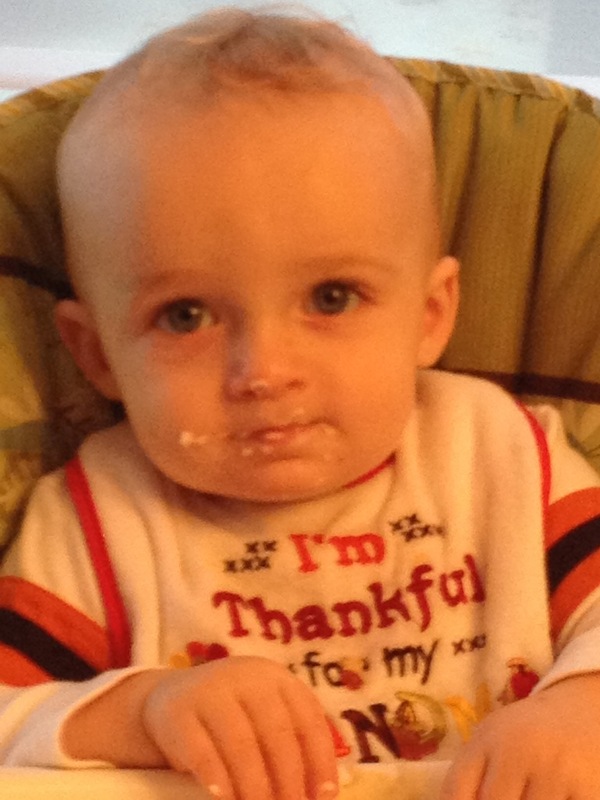 When I asked him what he was most grateful for this year he said mashed potatoes. When pressed he said his little brother, but I'm not sure I believe him. It brought to mind an article I read on Great Schools the other day which basically says the only way to teach gratefulness is to be it, show it, and say it. They share Dr. Jeffrey Froh's 9 tips for raising a grateful child which are worth sharing. 1. Be a gratitude role model: When possible, demonstrate thankful behavior. 2. Make space for thanks: Allow time to remember the good in life. 3. Talk the talk: Express gratitude with words like fortunate and gift. 4. Write it down: Encourage your child to count her blessings by keeping a gratitude journal. 5. Pay a thank-you visit: Have your child write a card to someone who did him a favor, then read it to the person in person. 6. Use visual reminders: Text your child thank-you notes or leave them in her lunch box. Remind her to surprise others with such notes. 7. Practice mindfulness: With your child, focus on one sense — the sight of autumn leaves, for example — and savor the experience together. 9. Give credit where it's due: When your child reaches a goal — whether it’s winning a spelling bee or joining varsity soccer — point out who helped him succeed. It seems nagging your child for two months to write thank you notes for his birthday gifts isn't on the list. So as I get the family ready for Thanksgiving, packing the car, organizing the cooler, and loading the devices with power, videos, and games, I do it with gratitude for of all the people we have to share Thanksgiving with and all the great times we've had already this year. Ok, let's hear some more from you in 2013!